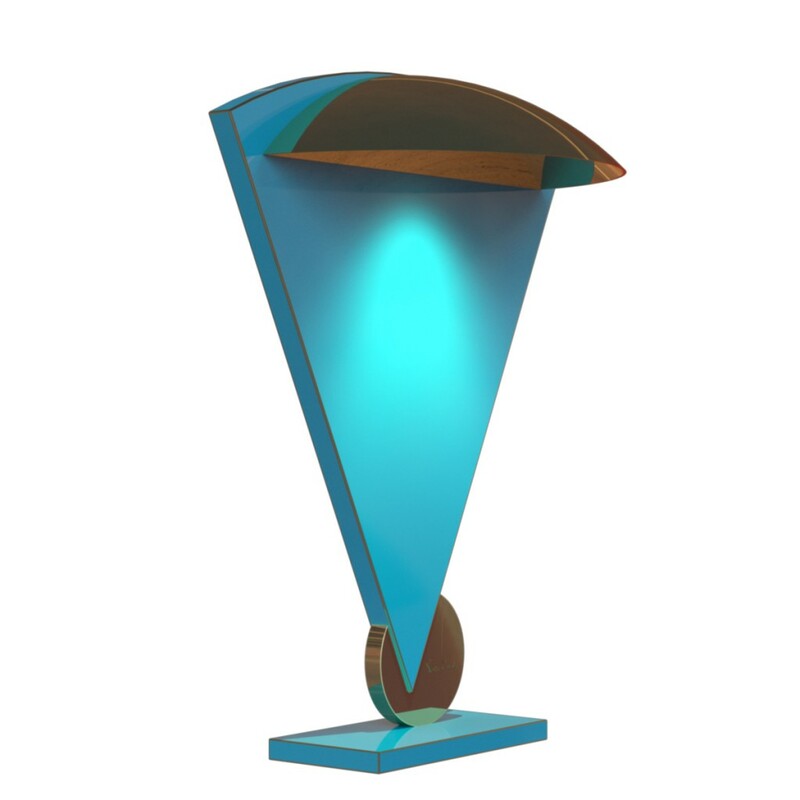 EN Is the average version of series of lamps in lacquered wood designed by Studio Pierre Cardin in 1978. These sculptures recall the triangular shape typical of the creations of design and fashion signed over the years by Pierre Cardin. The line of these fine sculptures makes them ideal to illuminate with elegance the living room or the study.